Honda wanted to connect and engage with younger audiences, particularly those with large social media presences, and especially those with a penchant for gaming and technology, mostly men, in order to sell its Acura TLX. For the TLX, Honda launched the “What a Race” campaign, the world’s first live, augmented reality race in the summer of 2018. It was designed to showcase the performance of the new 2018 TLX with super handling all-wheel drive. Important to the concept was incorporating real-drive performance. Honda invited four influencers to take part in the race and leveraged the influence of its own social handles for advance promotion and live-streaming the race. The race itself consisted of three laps which each triggered a new AR course visible to the driver and the social audience. 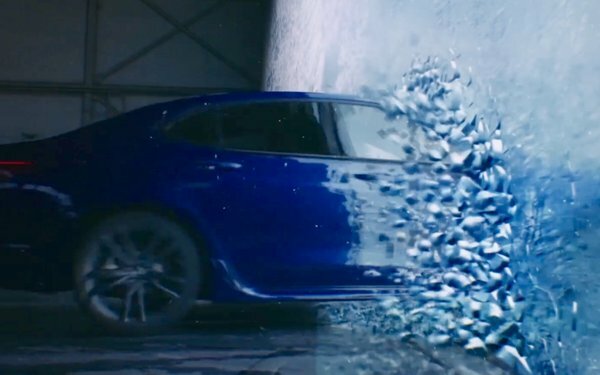 Each course provided a unique set of visuals and obstacles that tasked the TLX’s precise handling to maneuver through. The key to building excitement around this campaign was a comprehensive roll-out across various social channels which started a month before with teaser content. Honda promoted the live race across Twitter, Facebook and YouTube and followed that up with recap videos targeting those who had engaged with the live stream or audiences that had an affinity towards technology and gaming. Almost 50,000 engagements through comments, powering the drivers through the courses. Honda saw great participation among its Acura dealers who were sharing and engaging on the livestream. From a dealer standpoint, it’s often hard to engage them on social. Strong press coverage across marketing, technology and consumer publications presenting Acura as an innovative brand. Facebook Event pages are for local, not global. At the time, Facebook Event was just rolling out for brands to promote so Honda decided to use it but found that, since it was an online event and not really an experiential event, the traction wasn’t there. It wouldn’t recommend moving forward with those type of event pages for an online event. When introducing innovative ideas to the world, be more familiar at first and think frequency. In the initial teaser videos, some were quite abstract with AR experiences over-shadowing the car but once the brand started layering in the car visuals, that actually had a lot of traction so definitely going with the familiar visuals help get people to tune in and drive awareness. Twitter is the place for live events. Last summer, Facebook Live was the new darling of live media on social but Honda found Twitter out-performed Facebook so since then it has leaned heavily into Twitter as being the place for live events. Target based on interests. Going after early tech adopters, for example, really proved fruitful as Honda saw a lot of engagement when the platform interests were layered in. Being first reaps the glory in terms of paid owned and earned media opportunity. The automaker put a lot of paid media on the front end to drive awareness and traction around the event. Allocating additional media spend is important so people know what’s happening.